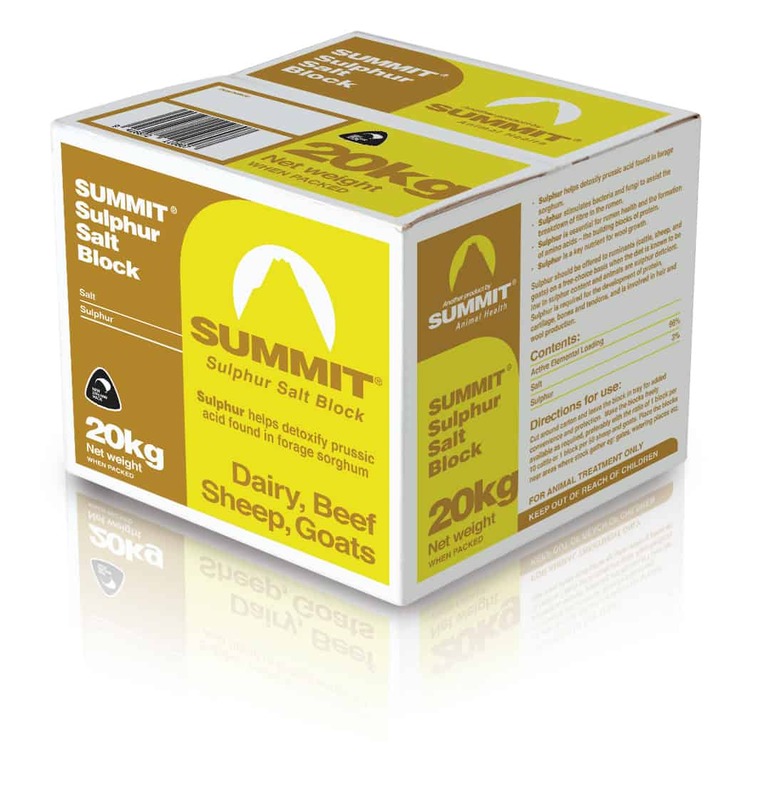 Summit Sulphur Block 20kg – this has been designed for animals to assist with detoxifying Prussic Acid which is present in Sorghum; a group of plant species which under certain conditions can produce cyanide. Sorghum includes pasture, hay, and silage used for animal feed & forage. 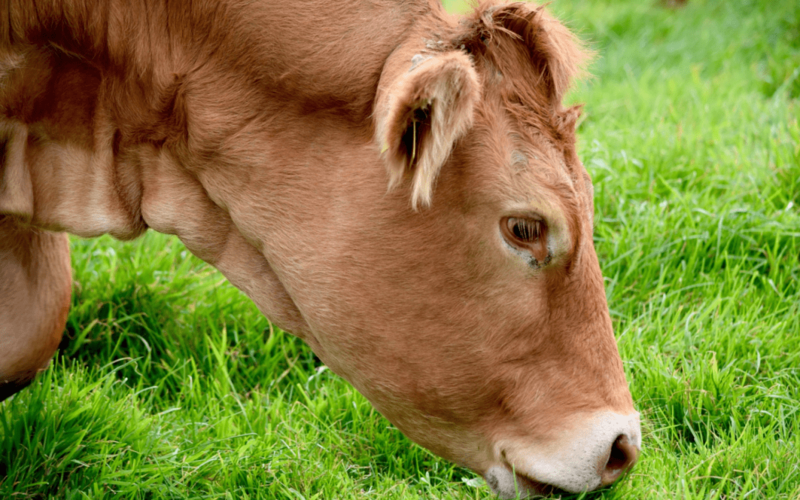 Hungry animals may consume forage too rapidly which can cause Prussic Acid toxicity or poisoning. 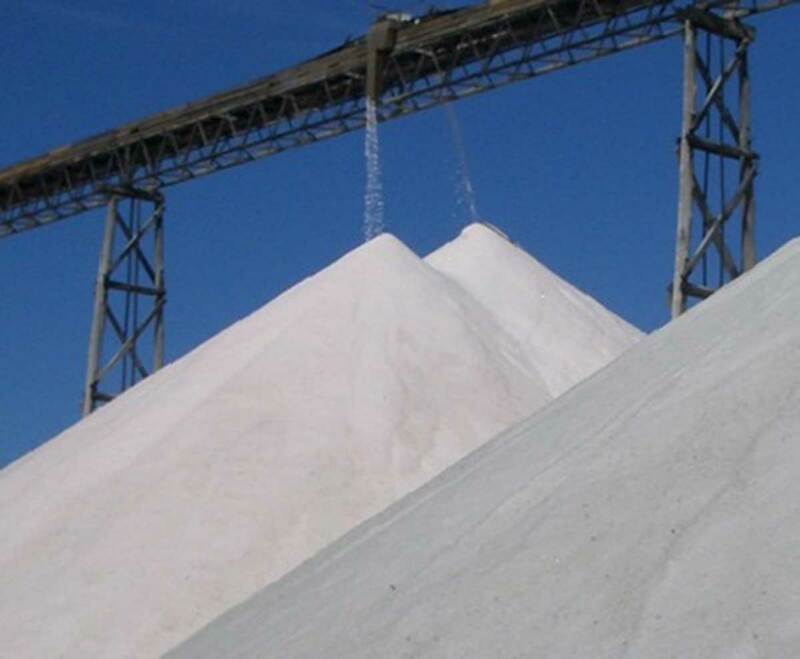 As Sulphur is known to detoxify Prussic Acid, offering the Sulphur block (a combination of salt and sulphur) to animals when feeding, can help reduce the risk of poisoning. Additional to this, Sulphur is essential for rumen health and the formation of amino acids – the building blocks of protein. Sulphur is also a key nutrient for wool growth. 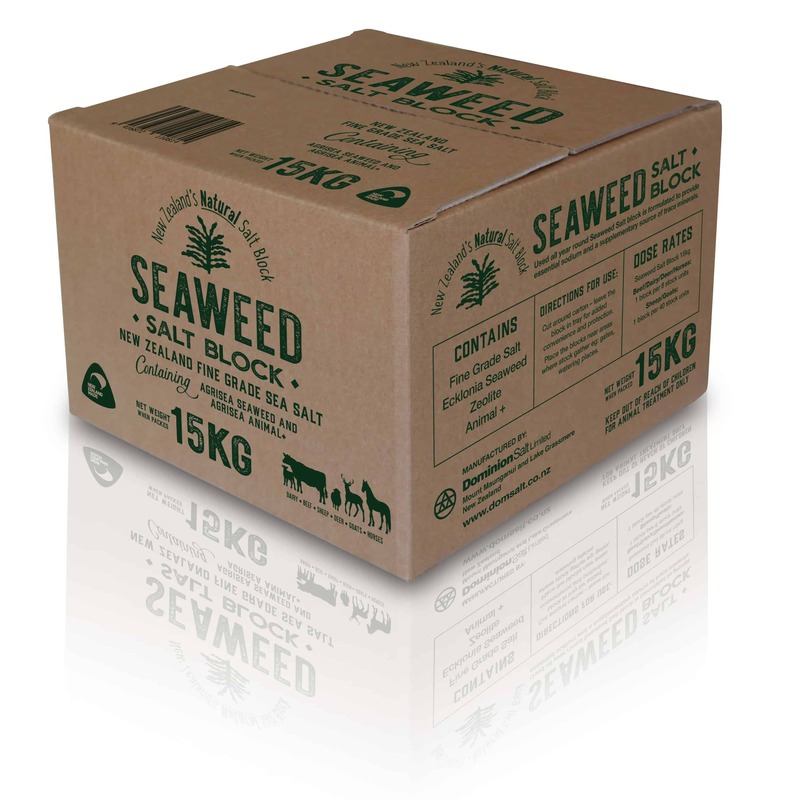 Natural Seaweed Block 15kg – this block is made up of Fine Sea Salt and a native seaweed species Ecklonia Radiata as well as AgriSea Animal + which is a powdered combination of Animal Nutrition and Zeolite (a recognised toxin binder). 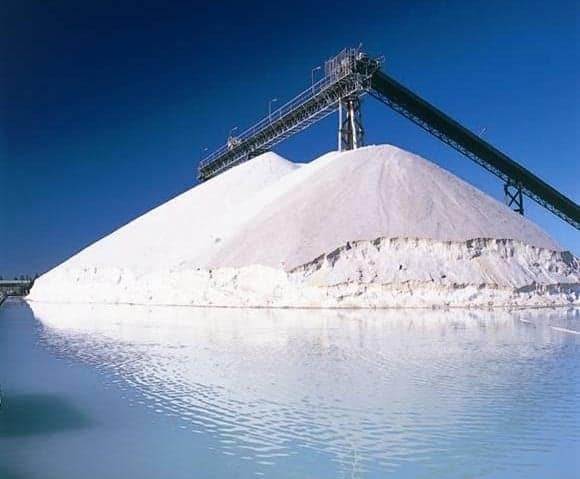 Seaweed is one of the most complex materials known to man providing a range of minerals and trace elements that are vital for animal health, including zinc, iodine, cobalt, copper, and sodium. 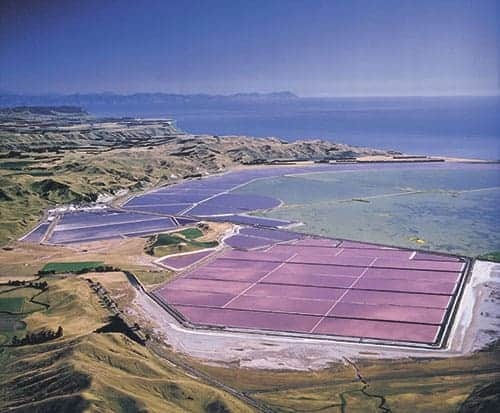 The Natural Seaweed block is suitable for sheep, goats, cattle, deer and horses. The new 15kg size is a point of difference from our existing 2.5kg and 20kg blocks providing more options for farmers.